This episode of the Sound Financial Bites Podcast tackles a topic that is central to our financial and physical wellbeing: healthcare. Paul Adams and Cory Shepherd welcome primary care physician Dr. Paul Thomas to discuss his practice, Plum Health, and the innovative strides he is making in the healthcare industry. Dr. Paul’s mission is to make healthcare accessible to those who cannot afford it and those who are fed up with the time, energy and money spent on traditional methods. Thinking about Direct Primary Care, if you’re able to integrate our service with the right insurance product, there could be tremendous savings for you, your family, or your business. In short, part of my job is to protect you from insurance companies, big lab companies, and hospital systems that will overcharge you for your routine primary care services. Here’s the promo image from Sound Financial Bites for the podcast on Healthcare vs Health Insurance featuring Dr. Paul Thomas of Plum Health DPC. This week, I was able to speak with Dr. Rami Wehbi about Direct Primary Care on his podcast, the Beyond Medicine Podcast. Dr. Wehbi brings a unique perspective to the conversation as he is a Family Medicine Resident, considering his options as he creates a career for himself in Medicine. This a crucial time in the life of a young professional, especially the life of a family physician. For a family doc like Dr. Wehbi, he could pursue an additional year of training in something like Sports Medicine, he could become a teaching physician, he could sign a contract with a large hospital system to see patients at a high rate, he could start a Direct Primary Care practice, or he could take on other options. For me, Dr. Wehbi is the future - his choice, and the choices of his colleagues like him, will shape the future of family medicine and the future of how our patients afford and access health care in their communities. I am so grateful to Dr. Rami Wehbi for having this conversation with me and I know that he will be successful in whatever path he chooses. People like Dr. Wehbi thinking critically about health care, and how we deliver that care, will advance the discussion and bring us closer to a better system. In this part of the show, we discuss why health insurance really hurts low income people. Health insurance sets the price point too high for accessing routine, every day care. Often times, uninsured folks who are unable to afford the high cost of private insurance often go without basic health care services. For these patients, they cannot participate in the system because they don't have enough money to buy into the system. Further, if they do buy private insurance, they might be afraid to use health care services in the fee-for-service system because of the unknown/unclear pricing in that system. In this video, we discuss the difference between health care and health insurance. In our health care model, we focus on developing relationships with our patients so that we can get to the root of the problem, rather than just treating the symptoms. We have this ability because we have enough time with our patients. 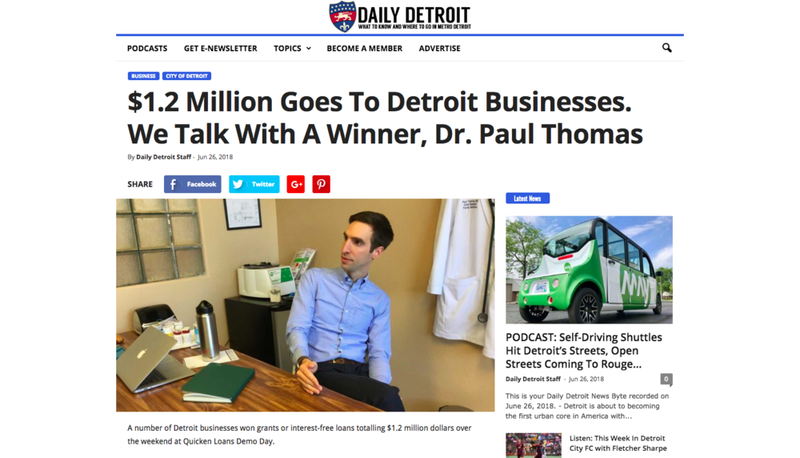 Background of Dr. Paul and why he decided to start a Direct Primary Care practice in Detroit, Michigan. Why Insurance is a failing system in the medical world. How Insurance is inflating the cost of medicine. Why doctors have been unable to maintain a healthy doctor patient relationship. What is included in a Direct Primary Care practice. How does Direct Primary Care work and how does it benefit patients. How to find a doctor that practice in a Direct Primary Care model. How Direct Primary Care can save you money every month. Doing the math of savings and how you can change your insurance plan and join a direct primary care. Wholesaling medications for patients in Detroit and Southeast Michigan and how Dr. Paul is able to save patients the cost of membership with the savings on medications alone. How DPC can work in non- affluent neighborhoods and how to start one. Patient pool in DPC vs a insurance based model. How to make a DPC practice sustainable and profitable. My experience with being demoralized seeing the current state of healthcare. How do you order imaging, get consults from specialists. You can listen to or download the podcast, here. You can find out more about Dr. Wehbi, here. Thanks for reading and watching, and have a wonderful day. Below are some extra videos produced by Dr. Rami Wehbi, enjoy! In the above video, we discuss our values at Plum Health DPC, and we value the doctor-patient relationship. We value getting to know our patients, understanding who they are, and where they want to go in their health care journey. We also really value price transparency. We want all of our patients to know what the prices for health care are, so that they can make informed choices about consuming health care services. Below, Dr. Rami Wehbi and I discuss why it's important to have longer, often 1 hour appointments with our patients. This really allows us to focus on the relationship, and developing strong relationships with our patients. This week, we were interviewed by Daily Detroit about our Demo Day Win! Here's the "News Byte"
If you're unfamiliar with our service, my name is Dr. Paul Thomas and I'm a Family Medicine Doctor in Detroit. Our office is in Southwest Detroit and we take care of people of all ages and stages - our youngest patient is 6 months old and our oldest is now 92 years young. We offer the same services as any other primary care office, but we use a membership model - that means that our members pay $10/month for children and starting at $49/month for adults to use our service. This allows us to have more one-on-one time with our patients and deliver a higher level of service in our office. If you're ready to start your journey to better health with Plum Health, then head over to our enrollment link, here.